Don't ya just love a well kerned font? I sure do. 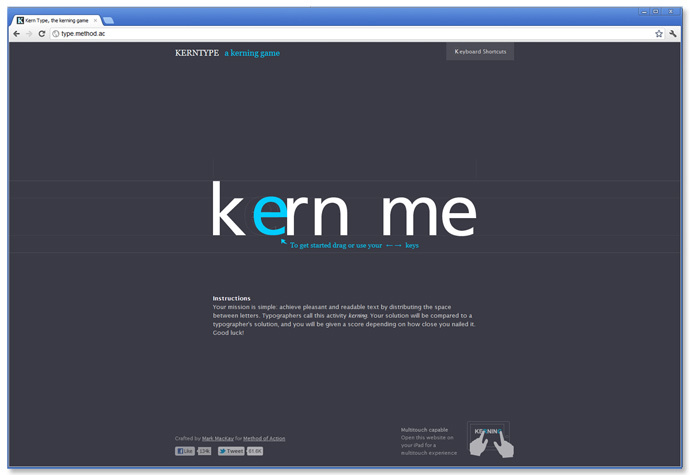 Here's a fun website that turns kerning into a game!